Home WORLD Germany’s Real-Life Fantasy Disney Castle! 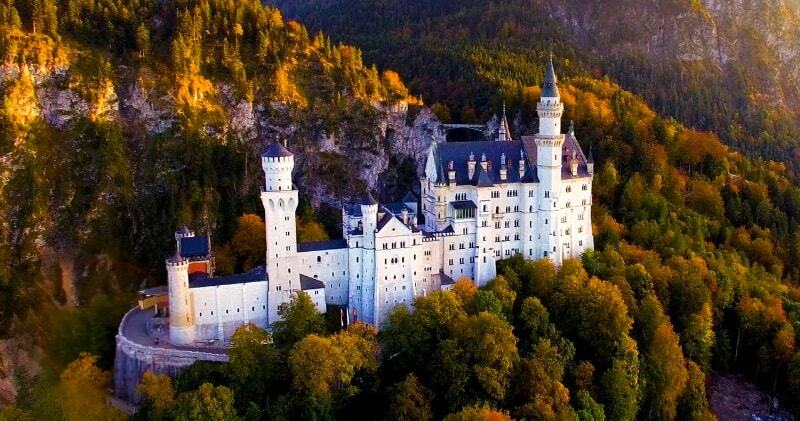 Germany’s Real-Life Fantasy Disney Castle! Perched atop a foresty hill in Bavaria, Germany, is a real-life fantasy castle. Commissioned by King Ludwig II in 1869. Adored by his people, Ludwig was nicknamed the “fairy-tale king” for his love of music, plays and fantasy. Ousted in 1886, he didn’t quite have the fairy-tale ending one might expect. Regardless, the legacy he left through his castle has inspired the imaginations of countless generations.